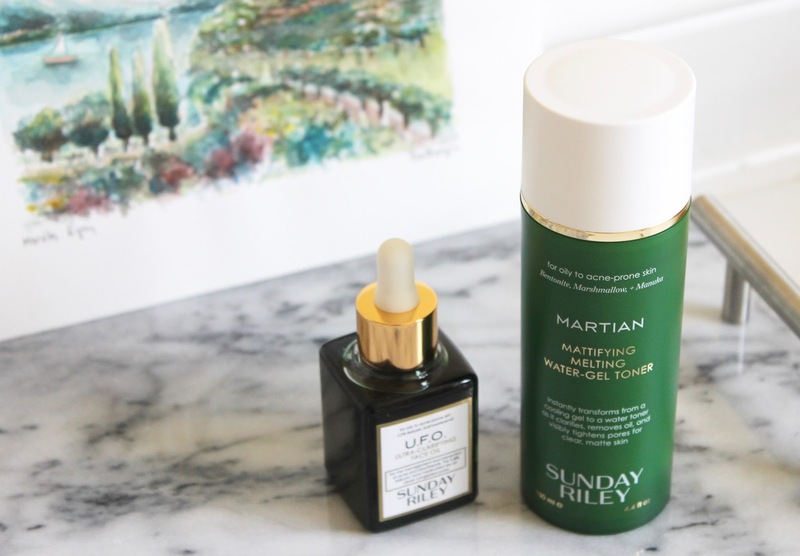 Sunday Riley is a brand that pops up quite frequently in my must-use daily skincare edit. I'll admit I'm not the most loyal when it comes to skincare products, but there are a few I do continually repurchase, and those include her Luna Oil, Good Genes Treatment, and Tidal Moisturizer. These are some of my all-time favorite products that really work wonders on my skin, in a matter of days - not weeks. So you can imagine my excitement when the brand released two new products targeted for oily/breakout prone skin, U.F.O. 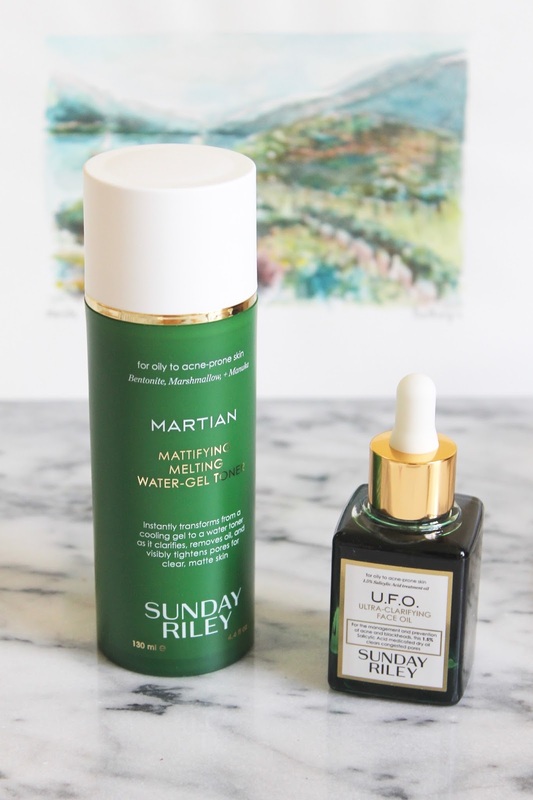 Ultra Clarifying Face Oil and Martian Mattifying Melting Water-Gel Toner. U.F.O. Ultra Clarifying Face Oil - As I mentioned, I used to be scared of feeding my skin too much moisture, but over the past couple of years I've realized it's what my skin needs. I just have to be careful of overdoing it, so in the summer my skin can't take as much oil as it can during winter. 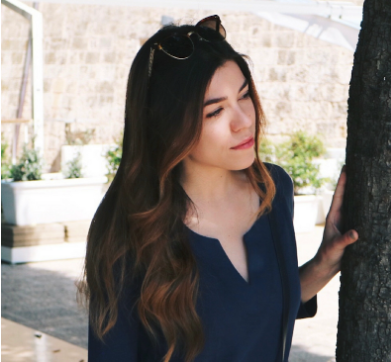 I typically use Luna Night Oil as a retinol treatment, and I love the results it gives my skin. However, I've definitely had to cut back on the times I use it per week because my skin can become a bit over-oiled with all the humidity we've been having. That's why U.F.O. is the perfect addition to my current routine. I've been using this to keep my skin clear, as it's slightly less viscous due to the fact that it's a dry oil that and it absorbs instantly. It also contains 1.5% Salicylic Acid to keep breakouts and blackheads at bay, but isn't too overpowering for my skin; it's exactly what I need to banish the monthly few breakouts that occur (during that time of the month), keep my pores clear, my skin smooth and bright, all while giving it just the right amount of moisture it needs. Martian Mattifying Melting Water-Gel Toner - This is such a unique product and a very welcome one in my routine. Of course, it's a toner, but it feels and looks light a lightweight moisturizing gel when it's pumped out of the tube, and then instantly turns into liquid when applied to the face. 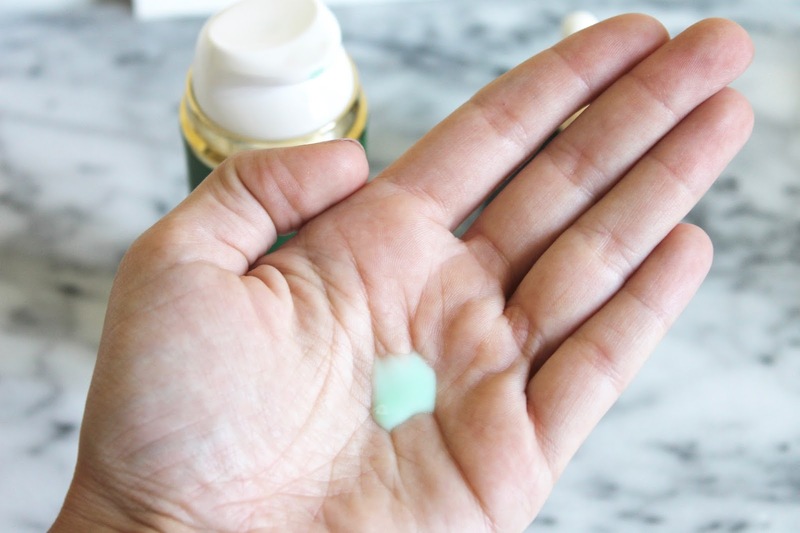 I love how refreshing it feels on contact - it's a definite pick-me-up for tired skin. It contains Marshmallow and Green Tea to soothe the skin and calm redness, Cucumber and Witch Hazel to tighten and tone, Manuka to naturally balance oily skin, all while keeping my t-zone matte thanks to the inclusion of Bentonite Clay. This has quickly become something I look forward to using for the ritualistic factor, but also something that keeps my skin so comfortable and perfectly balanced throughout the day. Have you tried Sunday Riley's newest additions?